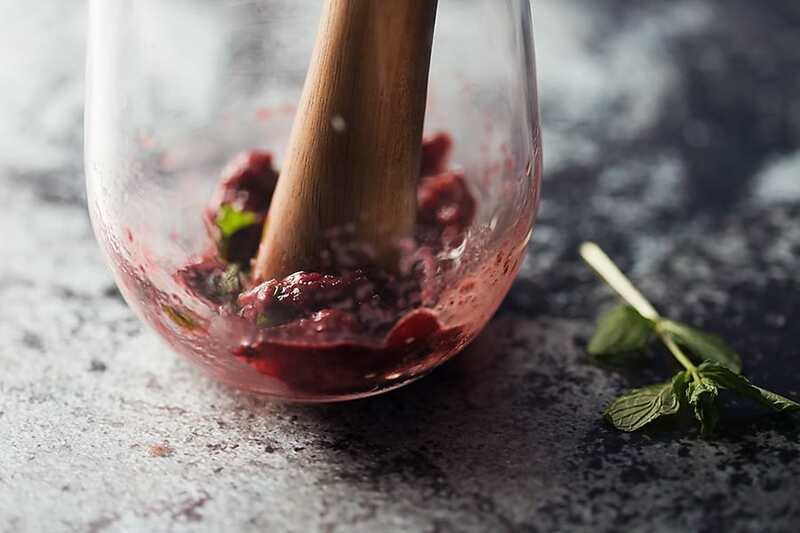 Black Cherry and Mint Smash Impress your friends with this low carb drink...black cherry and mint smash! The black cherry sparkling water from Schweppes really tickles my nose and is so much better than sugar filled soda! Who is a fan of sparkling water like I am? I am currently obsessed with it actually, especially the flavored sparkling waters. Of course there is soda. But that’s either full of sugar or full of chemicals. But guys, this Schweppes® Sparkling Water is my new BFF. When I pick up a pretty shiny can of the stuff, I feel like I’m one of the cool kids sipping on one of the most sophisticated beverages you could pick up at the moment. Not to mention that it is has only 2 ingredients: carbonated water and natural flavors. That’s my favorite part! Schweppes Sparkling Water is now available at Walmart (also a BFF) and I found this lovely stuff on the Schweppes Sparkling Water end cap in the beverage department. Their packaging really has it going on and really catches my attention. It’s so shiny! I love to shop at Walmart for all of my grocery needs, but also for all of my party needs. When I needed a low carb drink recipe to share with all of you amazing people, I knew that I could find everything I needed at Walmart. 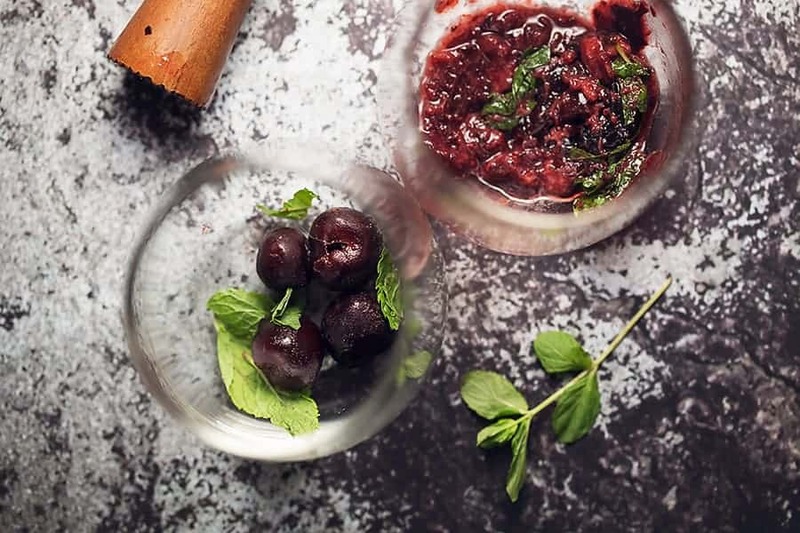 This Black Cherry and Mint Smash is so simple to make but will be sure to impress all of your fancy guests this holiday season. The Schweppes Sparkling Water in the black cherry flavor, mixed with more cherries and mint, tickles my nose in more ways than one. In addition to getting to taste the amazing flavors of the Schweppes Sparkling Water, you get a free festive Schweppes scarf when you spend over $10 in Schweppes products! 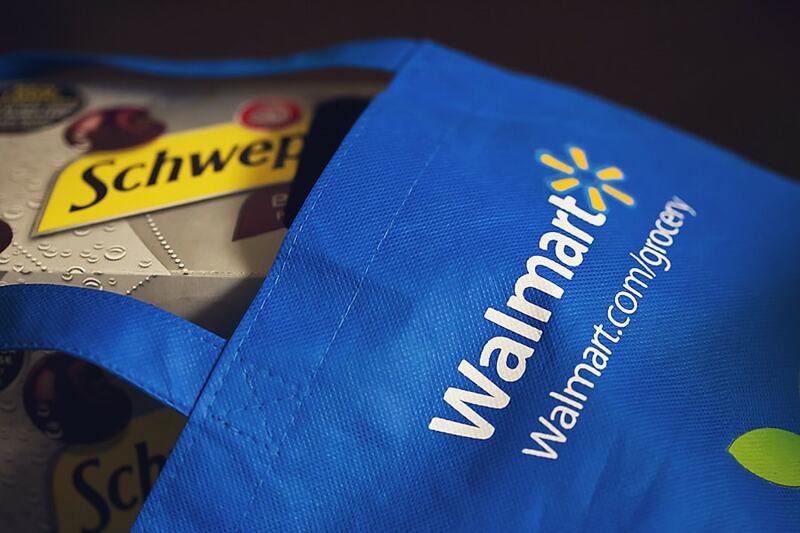 All you need to do is upload your receipt at schweppesholidaytw.com between 11/15-12/22. I would love to see everyone in their scarves holding a black cherry and mint smash! Cheers! And if you’re looking for even more creative ways to use Schweppes Sparkling Water this holiday season check out www.schweppesholidaysips.com! Impress your friends with this low carb drink...black cherry and mint smash! The black cherry sparkling water from Schweppes really tickles my nose and is so much better than sugar filled soda! Divide the cherries and the mint into 2 glass tumblers. Muddle the cherries and the mint. 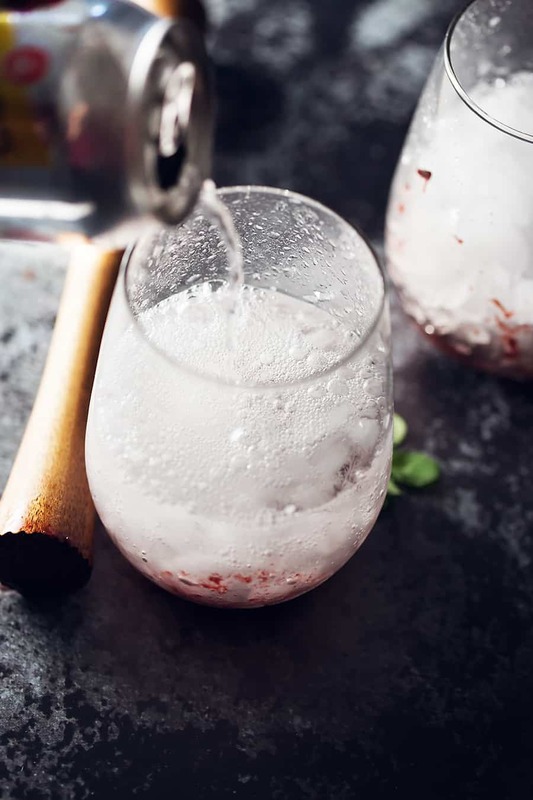 Fill each glass halfway with crushed ice. 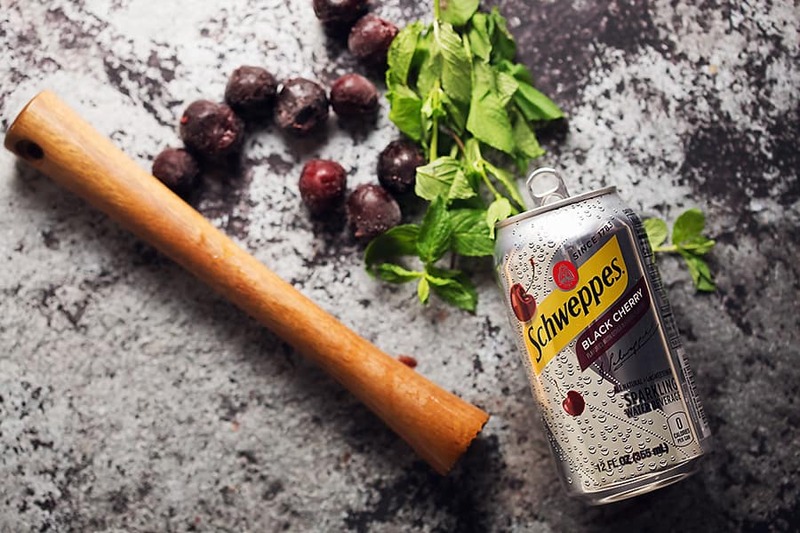 Pour 1 can of Schweppes Black Cherry Sparkling Water into each glass and stir. Sweeten to taste. A muddler is a bar tool used to release the flavors of the fresh ingredients such as herbs and fruits. If you do not have a muddler, you could use the end of a wooden spoon. Most smash recipes are mixed in a cocktail mixer but I do not recommend this method because of the sparkling water. You could leave this drink unsweetened (delicious) or you could sweeten it with liquid stevia drops. You could also use a sugar free powdered sweetener such as erythritol to make a sugar free simple syrup. Just mix ½ cup of erythritol with ½ cup of water in a saucepan and heat until the powder is dissolved.